Yeah, I’m like 40 or something. 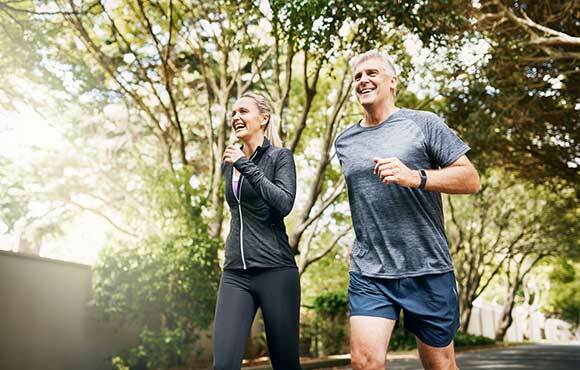 If you’re anything like me, getting and staying fit over 40 is not only important for your physical health but also your overall mental wellbeing. 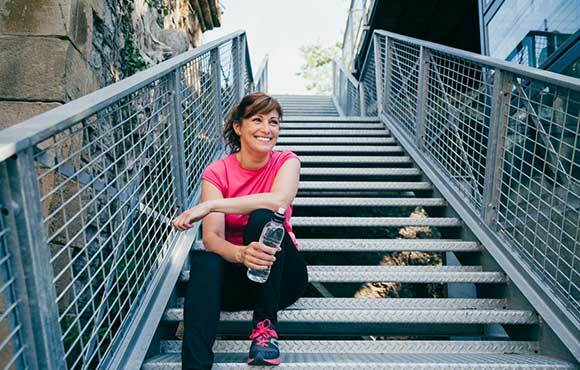 That’s why I teamed up with fitness expert, founder and CEO of the and/life mobile app, Andrea Marcellus, to come up with six tips to help you get (and stay) fit after 40. Keep your body moving and your heart pumping. 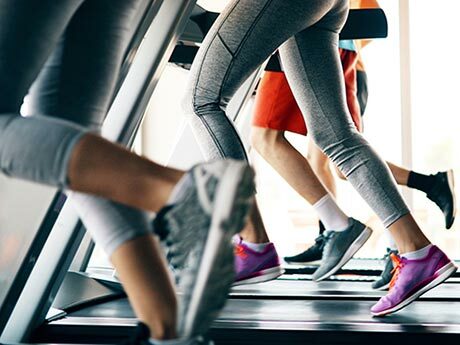 While this may sound like a "no-brainer," it's surprising how many people forget about the importance of regular physical activity and exercise. And if you're over 40, exercise becomes even more essential to your daily routine. Remember back in your twenties when getting and staying fit was all about how you look? Well, guess what? When you hit 40-plus, you start caring a whole lot less about the image in the mirror and a whole lot more about how you feel and the state of your health. Hitting this age means you're dealing with hormone fluctuations and your metabolism is slowing down. One of the best ways to combat any decline in energy and metabolism is to move your body. "Moving every day is important, and it becomes even more important as your bones and muscles age," Marcellus says. 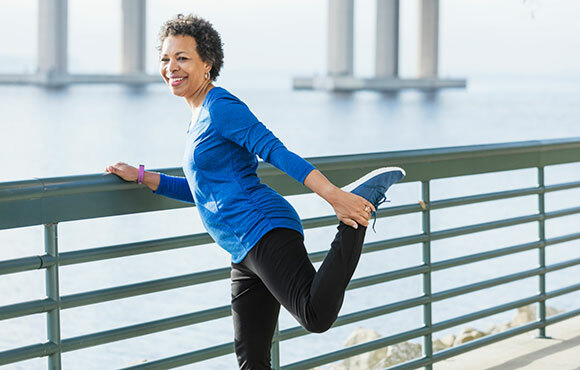 "But making sure you're healthy and strong doesn't have to require intense, time-draining workouts that leave you exhausted and feeling twice your age." Instead, Marcellus says to pepper in moderate, sustainable workouts throughout your day that are tailored to your body and fitness level. The bottom line is this: Try to work out five days a week with at least 30 minutes of moderate cardiovascular activity. You can also replace one to two of those five days with high-intensity interval training for 20 to 30 minutes each session. Don't let life get in the way. Work, kids, friends, soccer practices, dinners, school functions—the list goes on and on. But what's missing in that list is time for you. That's why Marcellus says nailing down healthy daily habits—such as what to make for breakfast or the time of day you exercise—can help you cut through the chaos surrounding you. Figuring out what you're going to eat every day, and how to make it healthy, takes up a lot of time. One strategy Marcellus uses is to simplify your meals by building them from a set list of your favorite ingredients. For example, pick two of your favorite breakfasts—say an English muffin with peanut butter or Greek yogurt with fruit—and alternate between these two meals every day for a week. "Strategizing your daily habits and taking the guess-work out of your decisions saves time while kicking unhealthy habits and impulsivity to the curb," Marcellus says. Employ the strategy of three-for-three. "For many people over 40, middle age comes with a 'middle,' but it doesn't have to," Marcellus says. She recommends employing the strategy of "three-for-three." 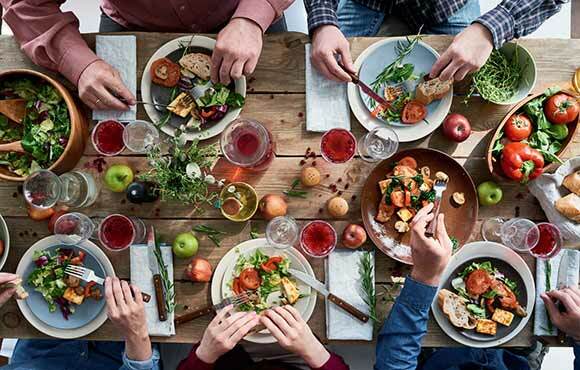 For three days in a row, pack up or toss out the last three bites of everything you eat and, before you know it, your compulsion to be a member of the clean plate club will take a hike—along with a stubborn pound or two. Not only is this approach both simple and successful, Marcellus explains, but also the methodical recalibration of your stomach will leave you satisfied sooner during the meal, perpetuating your weight loss even after you stop "three-biting." In addition to cardio, strength training is a must, especially for those of us over 40. Not only does strength training increase lean muscle mass, decrease body fat, protect you from developing osteoporosis and reduce your risk of developing heart disease, diabetes and high blood pressure, it also fights depression and anxiety. If you don't like mixing it up in the weight room, there are plenty of exercises you can do at home. Some of the moves include bodyweight squats, lunges, push-ups, triceps dips, planks, glute bridge and superman. You can combine these moves to make a full-body circuit that should only take you about 20 to 30 minutes. Do each exercise for the desired amount of reps or time, moving from one to the next without a break. When you get to the end, take a 30 to 60-second break and repeat the circuit two to three times. Along with your cardio exercise, do this circuit three times a week. Focus on your core and flexibility. If you're not doing any kind of yoga or Pilates-type workouts, start NOW. Keeping your body flexible and your core strong becomes even more important as you age. 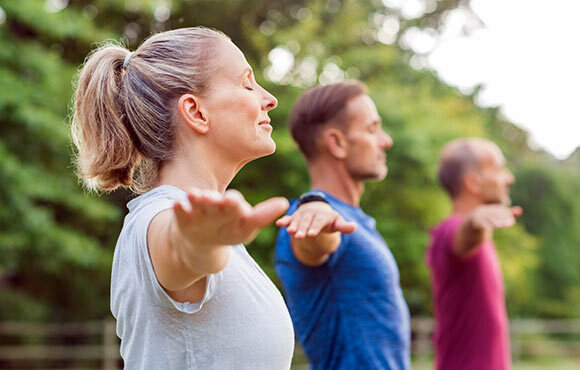 You can add simple yoga or Pilates moves to any one of your activity days or do a longer workout on an active rest day (the two days you take off from cardio and weight training). Try adding these Pilates moves at home: the Pilates hundred, rolling like a ball, single leg circles, saw, mermaid, criss-cross, one-leg kick and roll-up. Getting proper rest between workouts is important no matter how old you are. But if you've been exercising for a while, there's a good chance you know that recovery takes a bit longer at 40 than it did at 20. The amount of time scheduled between each workout matters almost as much as the workout itself. Hitting the same muscle groups too often results in overtraining and can eventually lead to injury. Likewise, your cardiovascular and nervous systems need time to rest, reset and recharge for the next intense workout. Most experts recommend two days of rest during the week and to avoid working the same muscle groups on consecutive days. But since there is no one-size-fits-all approach to fitness; you must listen to your body. If something hurts, rest. If you're sick, stay home and sleep. And if you're hitting the pavement for the third day in a row, try cross-training to give your body a break. If the idea of taking a rest day kicks your anxiety into overdrive, try swapping out one day of aerobic or strength training with yoga and light stretching. 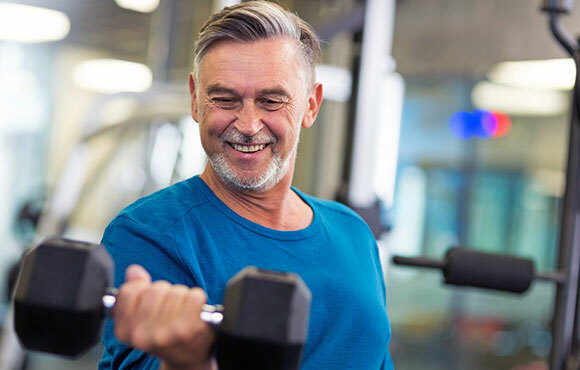 Just remember: If you want to build strength, endurance and lean muscle mass—especially over 40—it's the recovery time from exercise that allows you to see the results of your hard work.